Daniel Hanono (New York) - Book Appointment Online! Pain is complex, bringing forth debilitating conditions that affect one’s life physically, emotionally and psychologically. Innovations in the treatment and management of pain have opened up a world of solutions through medicines, therapies and breakthrough interventions that can absolutely change your life. 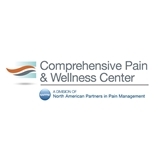 At Comprehensive Pain & Wellness Center, we serve patients with a broad spectrum of care that blends modern techniques and treatments with integrative medicine for optimal pain relief. Our board-certified pain management specialists have advanced expertise in musculoskeletal and nerve pain disorders, including pain relief treatments for specific pain areas and medical conditions affecting the neck, back and joints. Through our collaborative, patient-centered approach, our goal is to restore you to normal function and to a healthier, more active life. Always a pleasant experience with Dr.Hanono professional but courteous & relatable and I have to add that the front desk staff are also always courteous they’re always amazingly gracious and have perfected making their patients feel secure.